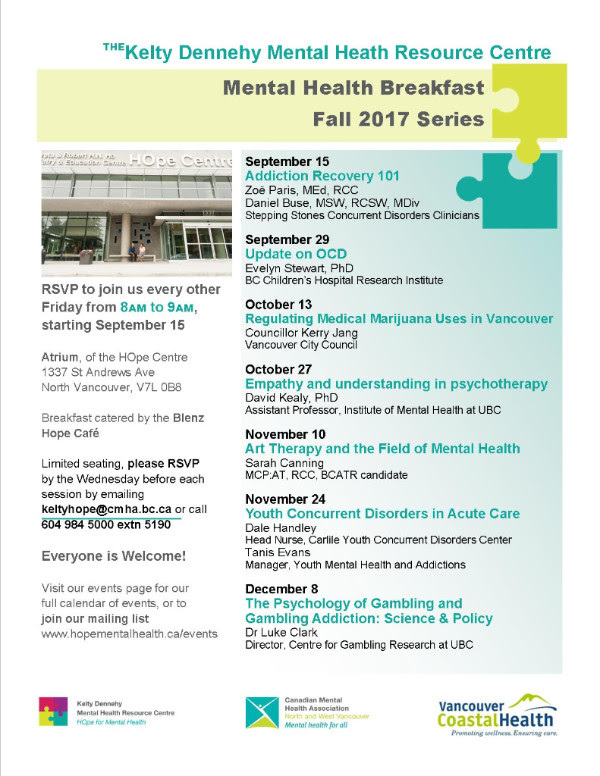 Our popular Mental Health Breakfasts at the Kelty Dennehy Mental Health Resource Centre are back, starting September 15th at 8:00 AM! Our first breakfast is Addiction Recovery 101, with 2 Concurrent Disorders Clinicians from Stepping Stones. These breakfasts run every other Friday through December 8th – see the schedule below for details on upcoming breakfast events.